What secrets would you share with your brother? Drew is there for every important event in his sister’s life. He is the keeper of Lily’s secrets and he has spent a lifetime fixing her problems. Lily learns she has breast cancer on the same day she discovers that her husband has secrets, too. Drew realizes he can’t fix everything. Years after their mother's tragic death, Lily hints her cancer is just a debt she now owes… what does Drew think? Well… Drew... he’s not talking. Lily fights the battle of her life with Drew by her side. Their commitment to one another reveals just how forgiving, loyal, and brave sibling love really is. A near fatal motorcycle accident nearly claims the life of the handsome Donovan McBride. Instead, on the day he is to be removed from life support, he is granted a miracle. The black-winged angel who’d appeared in Donovan’s hospital room likely provided an explanation… if only he could remember what had been said to him. He can’t. Donovan does recall waking up to the beautiful Doctor Josephine Kenneth by his side. 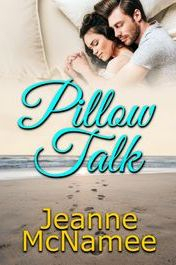 Her voice calmed him as he’d tried to digest how the last three months of his life had been spent in a hospital room. Within a few days of waking, Donovan was transferred to a rehabilitation center, dashing any hopes he’d had of getting to know Doctor Kenneth better. A year later, a chance run-in— while Christmas shopping— reunites the two. As Donovan falls for the stunning doctor, he can’t help but feel that his accident brought them together once and now fate was giving them a second chance. 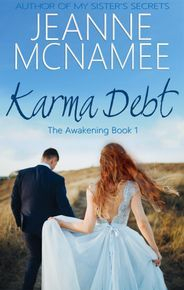 Enjoy the ride as Karma Debt, The Awakening shares an amazing journey of love. But, don’t be fooled by it… second chances simply don’t come free. Donovan McBride knows he’s hit the jackpot in life. He not only survives a near-fatal accident, but he also falls in love with—and marries—the dream of his life. Every day alongside his bride, the amazing Doctor Josephine Kenneth, is a bright, memory-filled odyssey for Donovan. Their tale is one every couple would envy. They travel around, scratching off places to experience from each of their bucket lists. That is… until tragedy gets in striking distance. This tender story of love and dedication explores just how high a price an individual would be willing to pay to spare their own life… even if that meant they’d have to lose the person they’d learned to live for. 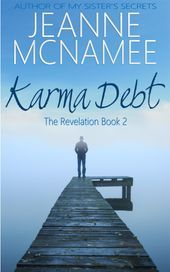 Karma Debt: The Revelation will take you on a journey that will force you to determine what debts you might owe to the world and to remind you to take pause and hold those you love closer for as long as you can. Aubrey and Nick Henson live what appears to be a dream life with their two children on the cool waters of Mystic, New Jersey. But all is not well in paradise. After fifteen years of marriage, the couple is on the brink of divorce … until Nick mysteriously develops parasomnia. As a parasomniac, Nick sleepwalks but appears alert and present. As his true feelings for Aubrey emerge, from a place deep within, Nick begins to treat her in a manner reminiscent of the man she once fell in love with. Aubrey, a nurse, eventually diagnoses Nick’s illness but debates telling her husband about his disorder, much to the dismay of her lifelong best friend, Libby White. Their date nights seem to be bringing them back together, and their marriage appears to be healing itself … until Aubrey suddenly finds that she’s the one in this marriage who’s in for a rude awakening when Nick discovers the dark secret she’s been keeping. Nick and Aubrey’s story will intrigue and enchant—and make readers wonder if love gets in the way of life … or if life gets in the way of love. 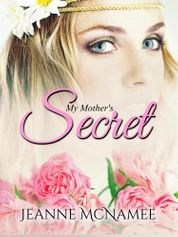 Sequel to My Sister’s Secrets. 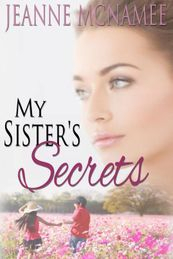 Teaser coming soon for this sequel to My Sister’s Secrets. Virginia Hamilton is a successful lawyer who owns her own firm. Sadly, as a divorcée, with no children, she hasn't been as lucky in love as she has been with her career. John Boone is an Afghanistan veteran suffering from PTSD and is living on the streets of Philadelphia. Like many of his Marine Corps brothers and sisters, he’s finding it increasingly difficult to re-adapt to a civilian lifestyle.The improbable pair meets when Virginia must rely on John for directions. Soon after, John must swallow his pride and force himself to ask Virginia for a favor. The unlikely duo begins to develop a deeply meaningful friendship. But, could it possibly turn into something more? 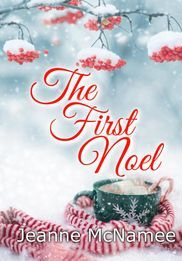 The First Noel is a touching novella that teaches a most valuable lesson … our flaws are not our failures, and destruction can sometimes be the path to our redemption.